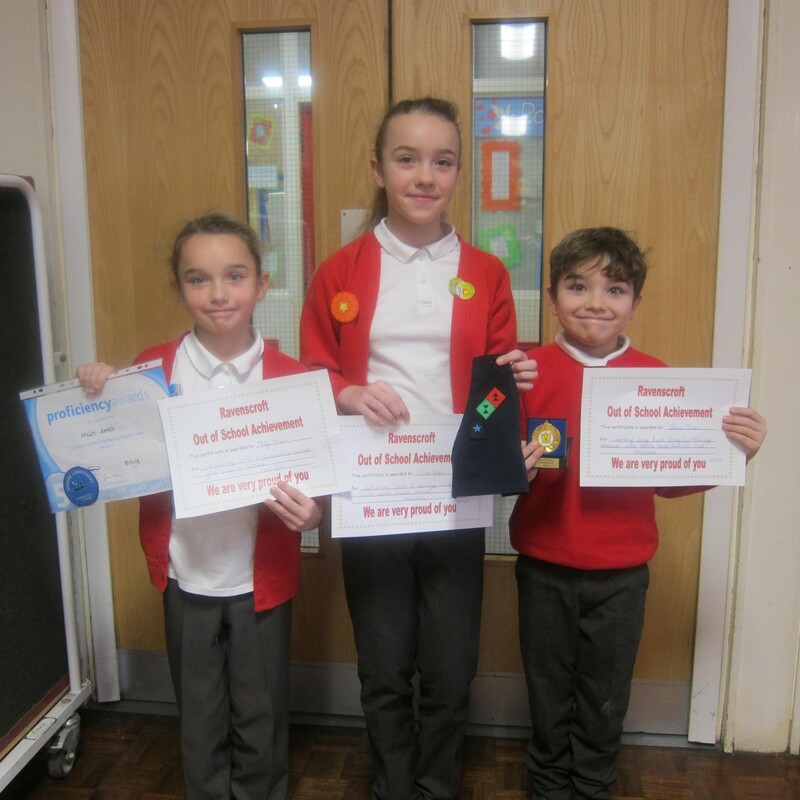 The assembly for ‘Out of School Achivements’ will take place on the last Friday of each month at 10.15am. At Ravenscroft we love to celebrate each and every achievement so we have organised these special assemblies to celebrate anything that the childen do/achieve outside of school hours. Parents/Guardians are asked to complete a form to inform us about their child’s achievement. This could be anything that they do as part of a club or by participating in a competition or event. 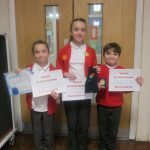 If your child has received a certificate, medal, badge or trophy then please let us know. Forms must be completed by parents/guardians and handed into school no later than the Friday before the assembly. Parents/Guardians who have returned their forms will be contacted by text to invite them into the assembly. If you have missed the deadline, your child’s achievement will be celebrated at the next monthly assembly. Forms are available from the class teacher, school office or website (link below). Children are also able to collect forms themselves to take home but they must remember to get them signed by a parent/guardian and return to school in time for the deadline. Chloe J – For her awards for Sailing and E-Cadets badge. Milly J – For her Level 5 Gymnastics awards. Jamie J – For his Football medal.